As the Chinese Communist Party continues to move away from socialism, it faces a growing number of challenges to the claim that it represents the sole legitimate governing body in China. In order to reaffirm itself as the most effective force for keeping the country together, the CCP has adapted to contemporary political conundrums in a variety of ways. Rejecting pessimistic perspectives which predict an erosion of state power or naive optimism that state-society relations will evolve towards a Western-style pluralist democracy in the foreseeable future, the contributions to this volume explore many ways in which the CCP selectively adapts to the challenges that have arisen from its strategy of rapid economic growth at the expense of political reform, in order to maintain its authority and relevance. Examining trends such as the reliance on religious charities originating from outside the PRC, the revival of local governance in urban settings, the passing of legislation for workers, or the multiplication of environmental non-governmental organizations, this book tackles the question of whether the Chinese government can overcome these challenges. 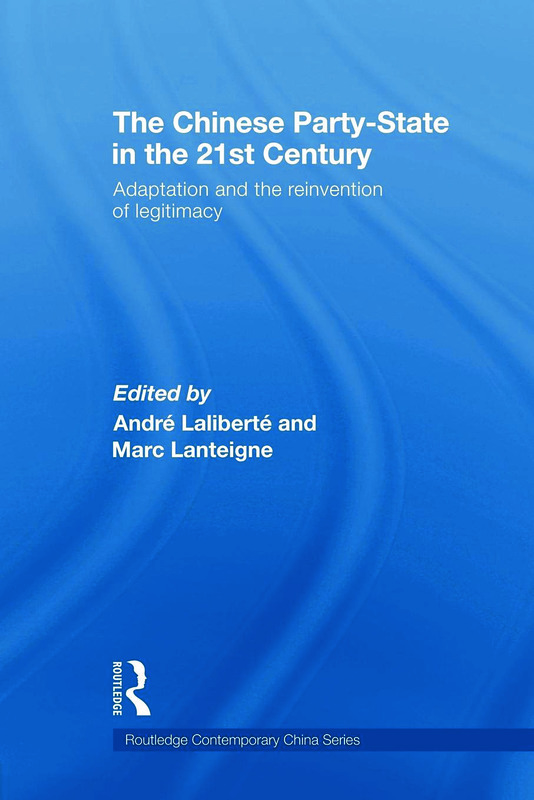 The Chinese Party-State in the 21st Century: Adaptation and the Reinvention of Legitimacy will appeal to students and scholars of Chinese politics, Asian politics, comparative politics and political sociology.